As with many whose life’s work is in the arts profession, whether they are writers, painters, etc., it is often required of them to hold a variety of side jobs to support their careers (and/or callings). Some choose to be bartenders while others are waiters. 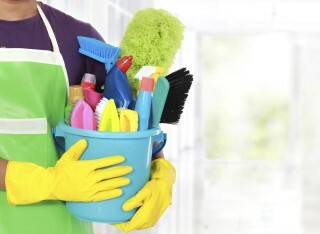 To support my writing career, I have always chosen to clean homes and offices. It is something I still do today. I like the flexibility it offers, and the part-time income is not too shabby. For the past two years, as my writing has blossomed a bit and my work can be found in small and local publications, I am trying to up the ante and challenge myself for larger publications. “If I am ever published in the New Yorker, the Atlantic or the New York Times, then I will feel I have made it,” I told a friend recently. But once that is accomplished, I suspect I will increase the wager again and try for the great American novel. But one thing at a time. There is one challenge, however, in meeting this goal that is not exclusively mine. It’s finding (or perhaps creating) the time to reach my aspirations in life. I’m certain I am not alone in this “making time for important things” venture. One author I admire stated that he has created a weekend retreat for himself once a month to reach his own writing goals without distraction. He tells people he is working and guards his retreat time as if his life depends upon it. He never lets any other activity or request of him get in his way. This includes his young family – of which he feels some guilt about his “work time” away from them. Although I have made many attempts to follow in this author’s footsteps, I have failed miserably. I suppose I’m not as focused, cave into guilt or perhaps haven’t learned the art of saying “no” in a healthy way. However, a door has recently opened to test my commitment for accomplishing this endeavor. My Thursday clients are leaving for a stay in Europe from now until June of next year. As a result, they only need limited cleaning services for the time being. But more importantly, they need someone to manage their property while they are away. “If you could check on the house, stay for a while to write and give the home a lived-in look in between family visits throughout the year, that would be so helpful to us,” my clients asked of me. I accepted their offer and will guard this “cleaning time” as if my writing life depends upon it. After all, it does. This information is just between you and me. Please don’t let anyone know my secret. If anyone ever asks - I clean on Thursdays. *Norma Fitts – this Insight is for you. You know why.